Two-time Olympic champion Pentti Linnosvuo is the most successful Finnish sport shooter of all time. 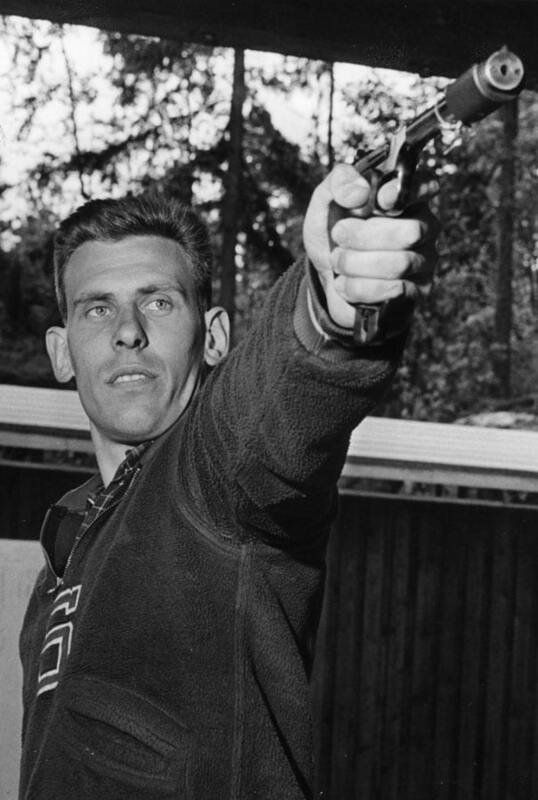 Pentti Linnosvuo took part in pistol shooting at five Olympic Games between 1952 and 1968. He won Finland’s first Olympic shooting gold medal in Melbourne 1956. His victory was surprising, as it came in his secondary event, the free pistol. In Rome 1960 Linnosvuo took silver in his favourite competition, the rapid-fire pistol, and in Tokyo 1964 he won his second Olympic title in the rapid-fire event. Linnosvuo was always at his best where it mattered most: at the Olympic Games. At World Championships he won one team gold medal and one individual bronze.